Traffic will be barred from Sella Pass this summer as the Dolomites battles to preserve its UNESCO World Heritage status. Also, Smyril Line stars in the BBC’s latest Nordic drama. And, what does this weekend’s damp squib ‘Black and White Saturday’ mean we can expect for the next supposedly-super-busy Alpine changeover day. ‘Traffic calming’ on Sella Pass this summer followed by other passes next year. The Dolomites’ UNESCO World Heritage status is under threat if traffic is allowed to continue growing on its famous mountain roads. 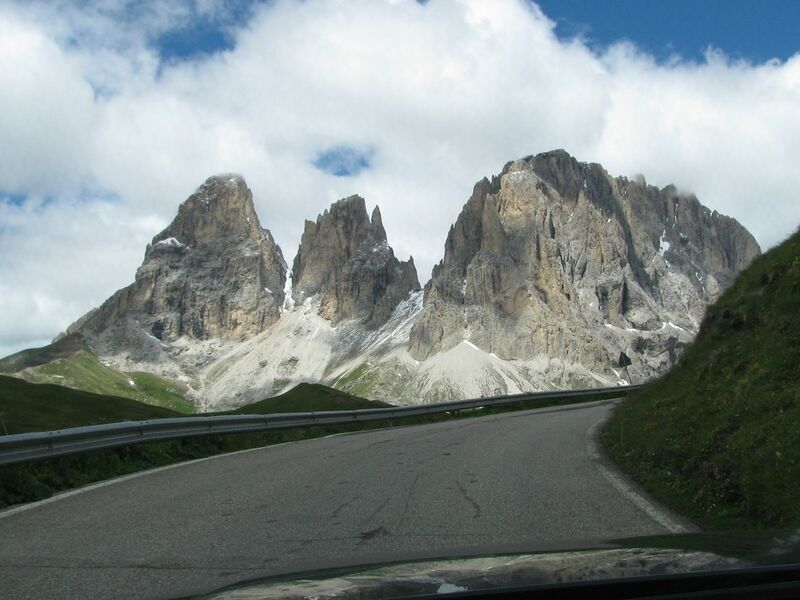 The measures begin on Sella Pass this summer before being extended to other roads next year. In an interview last week with South Tyrol magazine, Florian Zerzner who heads up the working group for ‘Dolomites Passes’, admitted the UNESCO designation was not under imminent threat but said the park would have to provide ‘a credible strategy about traffic calming’ in an official inspection in late summer. The idea is to set up so-called ‘window locks’ where roads would close for several hours each day. SS242 Sella Pass will be first, closed between 11:00-14:00 or 12:00-15:00 each day in July and August with the locks extended to other roads next year. Sella (2240m) is in a cluster of very high Dolomites roads – among the best in the Alps – between Cortina d’Ampezzo and the Brenner Valley, east of Bolzano. Other notable roads within just a few miles include Falzarego (2117m), Giau (2236m), Valparola (2192m), Fedaia (2056m), Pordoi (2239m) and Gardena (2137m). See more at PassFinder. Ominously, Austria’s Grossglockner mountain road – reputedly the country’s second most visited tourist attraction – has just applied for UNESCO World Heritage designation. However, traffic is already rigorously controlled via the high road toll, currently €35 per car. Some truly epic shots of the Denmark-Iceland ferry from the ten part TV series ‘Trapped’ which started at the weekend. BBC4’s latest Nordic drama begins with a headless torso apparently dropped from the Smyril Line ship as it docks in east Iceland. A terrific storm then traps the townsfolk, and the murderer, hence the title. 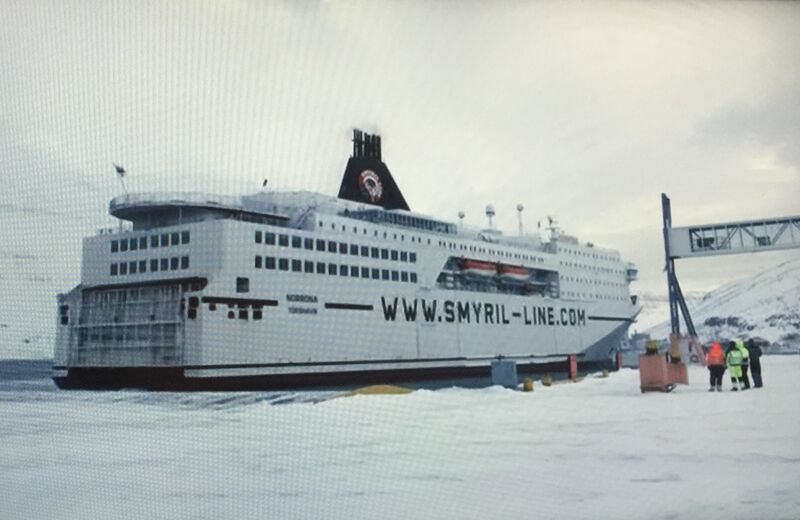 Smyril Line is the only firm to serve Iceland with weekly 47 hour departures from Hirtshals, with or without a stopover in the Faroe Islands. See Trapped at BBC iPlayer. roundup: BLACK SATURDAY DAMP SQUIB. With a two hour delay on the Alps-bound A43 towards Chambery at 09:30 it looked like a very Black Saturday indeed. But the snow held off – even if the rain didn’t – and, but for a slight blip on the A43 at lunchtime, it was pretty much all over by 14:00. Alpine jams peaked at 450km according to VID – 220km in France – compared to 370km last weekend so it was busy, just not the expected gridlock. The only real problem was the N94 Gap-Briancon which saw major snow on Friday afternoon, and more on Saturday lunchtime, but drivers let the ploughs through without any drama and the road was eventually cleared. This all comes the week after a Red Saturday when there was a three hour delay on the A43 towards Chambery in mid-afternoon, i.e. much busier than forecast. The question now is, what can we expect this coming weekend? Saturday 20 February is set to be another Black Saturday heading up into the French Alps plus much heavier traffic heading back down the mountains. The summer Black Saturdays were similarly underwhelming. Rather than two weekends of really heavy traffic in August, the misery was spread over the entire month (see The Confounding Holiday Traffic of Summer 2015). If that happens this winter too, it means this weekend will be quieter than expected – heading up the Alps anyway – but that the weekend after, when traffic should in theory start to return to normal, will be annoyingly busy too. So much depends on the weather.